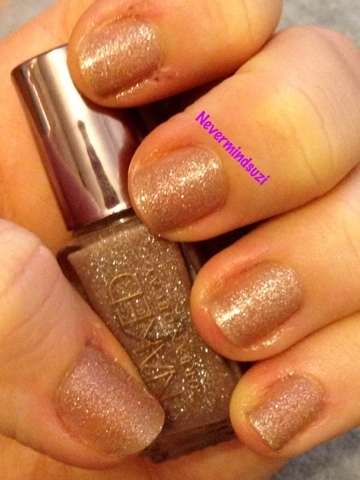 I've another fab polish from the Urban Decay Naked Collection for you. 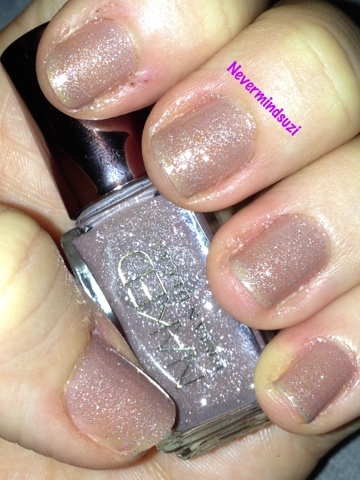 Sidecar is a taupe jelly with a silver glitter through it. I used 3 coats here and with the flash there's a slight nail line but otherwise it looks completely opaque. 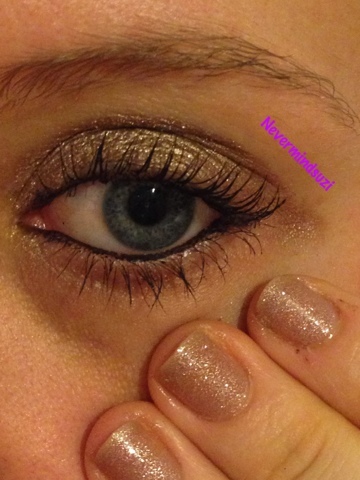 I thought I'd show you it side on with the eye-shadow. A perfect match. 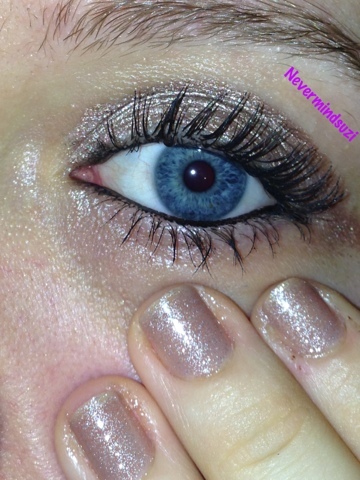 What do you think about matching your eyes to your nails?